Dr. Saber Miresmailli, founder and CEO of Ecoation Innovative Solutions Inc.
Dr. Saber Miresmailli is the Founder and CEO of Ecoation Innovative Solutions Inc. (Ecoation), located in North Vancouver, BC. Dr. Miresmailli’s patent-pending technology predicts crop health before signs of pests, disease or deficiencies are visible to growers. Plants change their appearance throughout the day and give off physiological signals that indicate stress when attacked by a pest or disease. Ecoation’s automated plant monitoring robot can non-evasively measure physiological changes on the surface and inside plants and tie the signals to a specific kind of stress. It provides the earliest detection of pests, diseases and deficiencies. Growers can then target IPM treatment to the smallest area: one plant or one post before damage spreads. After studying plant protection, then pursuing his master’s degree in insect toxicology, Dr. Miresmailli shifted to plant science and chemical ecology, studying plant signals and behavior. He continued his post-doctoral studies in Illinois and has been involved in this field over the past 10 years. A cloud-based, artificial intelligence platform is the only approach Dr. Miresmailli believes will accurately address the complexities of growing. Brian Kahnert joined Ecoation as Chief Revenue Officer in 2017, and is equally passionate about sharing Ecoation’s technology with farmers. 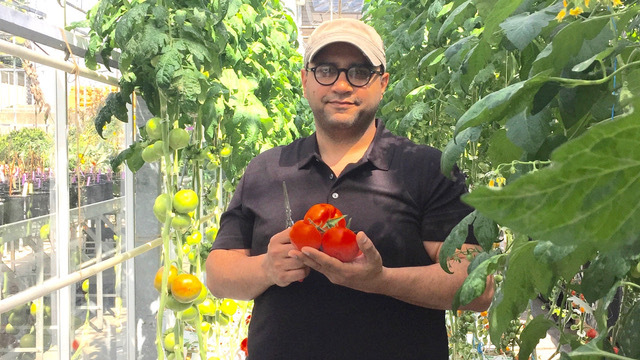 Kahnert and Dr. Miresmailli would like to eventually work with high value crops like grapes and berries, but for now they are focused on greenhouse customers. Growers see their entire greenhouse at once, which is significant for operations with over 10 acres or 100,000 plants. Instead of physically scouting a row at a time, the system provides a map which shows the state of the entire greenhouse every 5 days, allowing growers to strategically place staff or apply management. Scouting and IPM Labour costs can be possibly cut in half using this system. Early detection means containment of pests and diseases and limiting economic damage. 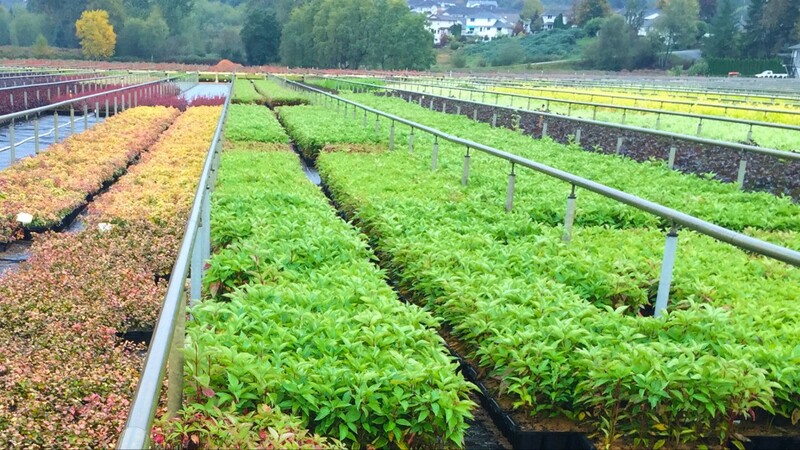 When they implement an IPM solution, growers get rapid proof that the solution is working. Instead of waiting weeks to determine solution efficacy, we can show them a change in days. On average in British Columbia, pests cost growers $7/m2/year. We want to help growers get back as much of this loss as possible. We want growers to be able to grow more crops at lower cost. Currently, Ecoation has the hardware and system to be able to handle 10 growers in Canada, but by the summer of 2018, Dr. Miresmailli and Kahnert expect to handle dozens of growers, and by 2019, hundreds. “We want to talk to growers who are interested in seeing a new approach to IPM and growing, and adopt our system to address issues at the earliest stages,” says Dr. Miresmailli. Ecoation was one of the winners of the 2016 Ag-Tech Innovation Challenge in Kelowna, BC, and presented their system at the BC Tech Expo in 2017 where they also won an agriculture innovation award. More information can be found on the Ecoation website: www.ecoation.com, including videos of the automated crop scouting system in action.